Seller will give you a gift certificate in the amount of 5,118 RUB for a positive review of the product purchased. 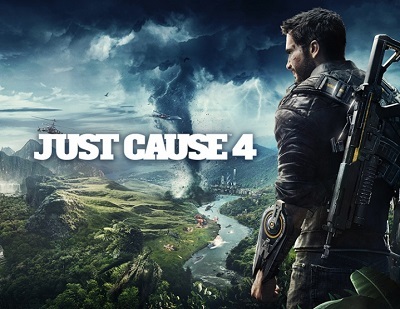 Just Cause 4 is a spectacular adventure on a South American island. Get an all-inclusive travel package: from thrilling wingsuit flights to breathtaking stunts on the new upgraded hook. Look for secrets, become the king of this heavenly place and overthrow the tyranny reigning there. The difficult fate of the best agent in the service of the CIA this time threw Rico Rodriguez on the distant island of Solis, in which a full-scale war broke out between the current government and the resistance who wanted to overthrow the tyrant Gabriela Morales. Being tormented by natural disasters, the South American region is frozen in timelessness in the open ocean, and only Rico is able to bring peace to the already troubled Solis. Help him win this war and finally find out the truth about his father. Feel the whole drive of the new engine from Avalanche Studios and do not get lost in the variety of biomes: from the frosty mountain peaks to the humid hot jungle. - Endless spaces. Learn about 1024 sq. M. kilometers of land, moving through the air and on the ground on various transport. You are not bound by any frames - all the riddles and secrets you have, in full view. Visit the lively outlets and deserted jungle of the tropics, boldly looking into the face of various dangers and nature itself. - Brand madness best "sandbox". Control the situation, be the main character of the spectacular action movie everywhere, cutting through the space on the new hook. Learn tricks, look for loopholes and destroy all the followers of the “Black Hand” on your way. Even nature will be on your side if you learn to tame a tornado. - Rico on the drive. The brave hero Rodriguez is ready to fight with, perhaps, the most cunning and elusive villain in his entire career. Uncover this Pandora story box and learn more about the past by all your favorite daredevils. Seller will give you a gift certificate in the amount of 5,118 RUB for a positive review of the product purchased..